Even when the train's full, second-class seats have plenty of room. Most first-class seats aren't that much wider than the ones in second — but are much more likely to be empty. Nearly every European train has both first- and second-class cars (and some newer fast trains even have one or two extra rungs of "premier" or "executive" fanciness), all going at precisely the same speed. Yet on most trains in most countries, tickets in second class cost about a third less than those in first class. Many Americans, familiar with the huge difference between first- and coach-class seating on airplanes, are surprised to see just how small the difference is on European trains. Second class is plenty comfortable; it's generally a no-brainer for anyone on a budget. It can also be more fun. Many first-class travelers are businesspeople looking to get work done; you'll have an easier time striking up a conversation in second class. Most Europeans don't travel in first class unless someone else is paying for it. 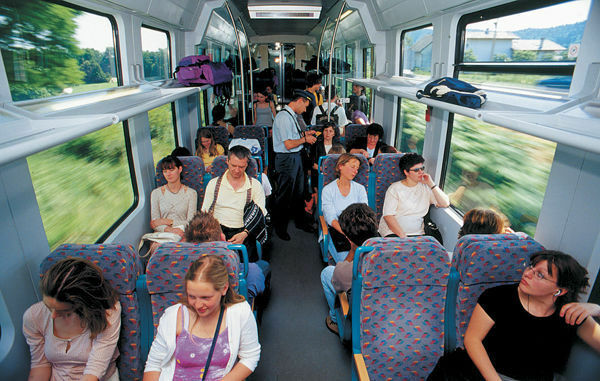 First class is often less crowded — a significant plus on popular routes at peak times, when it can be hard to find a seat in second class. 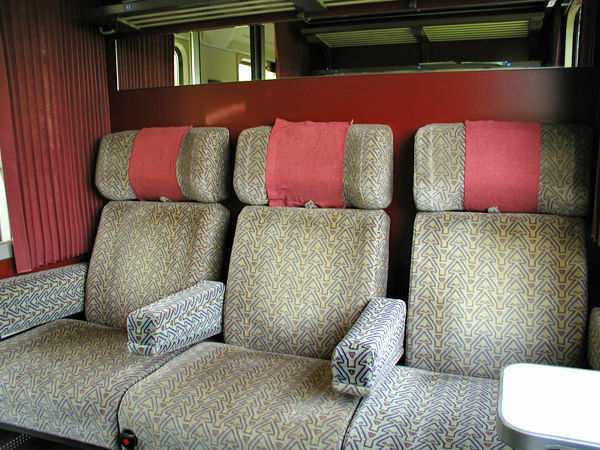 First class also has wider seats and aisles, and is more likely to have amenities such as air-conditioning and power outlets (though outlets are still rare on Europe's trains, in any class). While first class is less conducive to conversation, it's more conducive to napping. With a first-class pass you can travel in a second-class car, although the conductor may give you a puzzled look. Those with a second-class pass can usually pay the difference in ticket price to upgrade to a first-class seat for any given train (but this kind of upgrade generally isn't available online or at ticket machines).